A week and something ago, I ran into this article. Due to its length it took me some time to go through it. But the time was really worth it. The article discusses the direction, I believe, we’re heading. 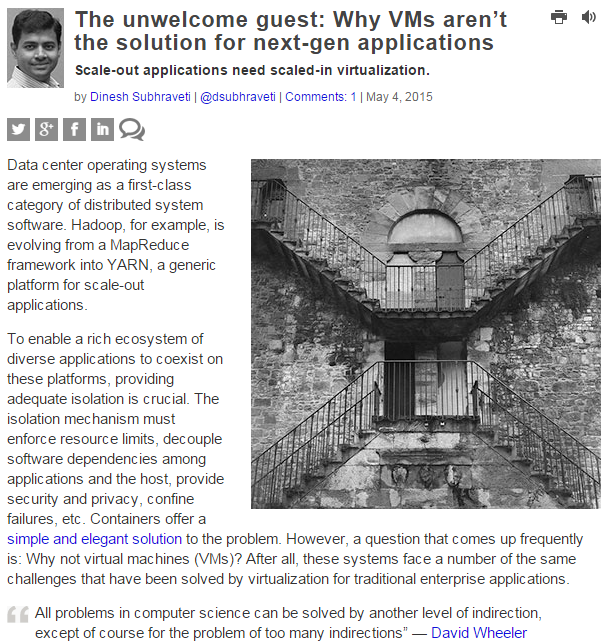 Why virtual machines are not convenient for dense infrastructures, what problems could arise when a virtual machine is not aware of the host’s physical configuration etc.